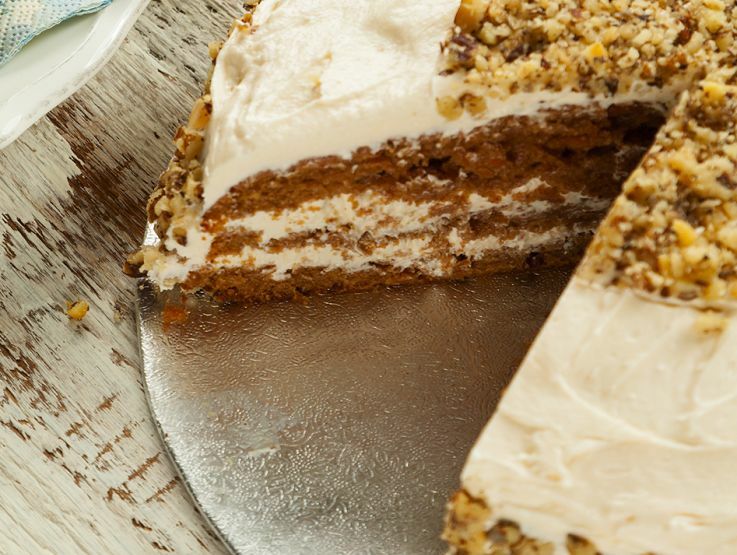 A moist full flavoured Carrot Cake Mix with excellent slicing qualities. Ideal for sheet lines, loaf cakes and cupcakes. Requires the inclusion of carrot. Sugar, Wheat Flour (Wheat Flour, Calcium Carbonate, Iron, Niacin, Thiamin), Rapeseed Oil, Dried Egg, Wheat Starch, Dextrose, Raising Agents: Sodium Acid Pyrophosphate, Sodium Bicarbonate; Cassia Spice, Emulsifier: Soya Lecithin; Ground Cinnamon, Ground Ginger, Dried Egg White, Caramelised Sugar, Colour: Carotenes.